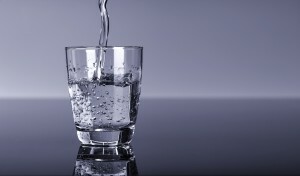 Are you concerned about the quality of your Fredericksburg, Virginia, home’s potable water? If so, a drinking water system from RainSoft is just what you need. Whether you’re tired of pungent odors, bitter aftertastes, floating sediment, or all of the above, our highly advanced systems can provide you with the relief you desire. Using a highly sophisticated, multi-stage filtration processes that includes an advanced carbon block filter, our Ultrefiner II and Hydrefiner home water purification systems can remove unwanted impurities from your water that would otherwise detract from its taste. These systems can be installed either under a dedicated sink, or further below in your home’s basement, allowing them to perform their work while tucked conveniently out of sight. To learn more about the drinking water system solutions we can provide to homeowners in Fredericksburg, VA, and all surrounding communities, contact your local authorized RainSoft dealer today.